“In 1882, a fascinating legal case got under way in San Francisco. 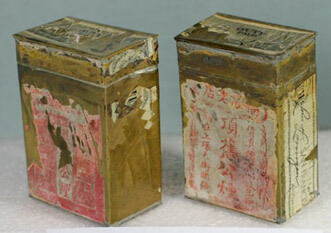 The defendant was the U. S. government, which had seized 3,880 5-tael cans of opium, all bearing either “Lai Yuen” or “Fook Loong” labels, from a local man named Kennedy. He claimed that he had been shipping the opium, perfectly legally, to Hawaii, when it was seized. Maintaining that he had not broken any law, he wanted his opium–$25,000 worth–back. This article was first posted on 7th June 2015. Olyphant & Co, China 19th century (Hong Kong office) Olyphant was a vociferous opponent of the opium trade and the firm was the only large foreign trading company not to engage in opium smuggling.